Are you thinking it’s time to upgrade your floors and once again make them a point of pride in your home? If years of heavy foot traffic, spills, and accidents have made your floors unappealing, rely on our stunning collections of luxury vinyl tile for stylish and durable new floors. Our team of experts is ready to tackle any flooring project. From conception to application to installation, we help you every step of the way. Our local store and showroom offers an expansive inventory of luxury vinyl tile. We feature lines and collections at various prices and styles that not only meet your budget, but that also fit your aesthetic preferences. We understand that a home is only as comfortable as you make it, and we want to help you create the home of your dreams. Any kind of daily wear and tear on a floor is no threat to any of our resilient flooring options. One of the many reasons luxury vinyl tile is so popular is because it is known as resilient flooring. It has a protective top layer that makes the tile resistant to indentations, stains, scratches and scuffs. That is a huge plus for any homeowner, but it is especially beneficial for active households with small children or pets. Other natural materials tend to wear over time, but what makes this flooring so versatile is that is also resistant to chipping, warping, and yellowing. It is easy to clean, maintain, and it’s also water resistant, which makes it a perfect choice for any area of your home. It’s especially useful in high moisture areas, such as the kitchen, bathrooms, and basement. Durability certainly makes vinyl a top-seller in the flooring market, but so does its abundance of available design options. Luxury vinyl floor tile offers the latest in flooring trends and you can choose from a wide selection of colors, shapes, brands, and styles at our store. You create the floors that perfectly match your sense of taste and practical preference. With so many options, you might be a bit overwhelmed about where to start. Trust our flooring professionals to guide you every step of the way—from selection to installation. No matter what size budget you have in mind our staff works hard to find you flooring that meets your budgetary guidelines and satisfies your aesthetic preferences. If you’ve always wanted hardwood in your home, but find that it’s cost prohibitive, then you might find luxury vinyl plank flooring is the flooring to choose. Its ability to replicate a hardwood surface is unmatched. The manufacturers of these floors have perfected the replication process so closely that it is almost impossible to tell the difference between luxury vinyl planks and real wood floors. Once you make a purchase from our vast selection, it’s time for luxury vinyl tile installation from our certified and skilled installers. We maintain a team of flooring specialists who complete the installation of your floors in a timely and efficient manner. We’re so confident in our services that we offer an Ultimate Confidence Guarantee. This means that if you’re not completely satisfied with your 4- or 5-Star rated floors within 30 days, we’ll replace them free of charge. Our team is committed to ensuring you enjoy your new floors and get the most life out of your investment for many years to come. 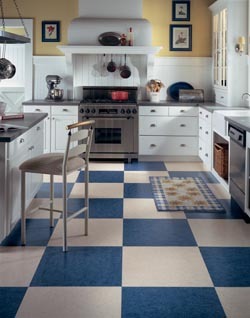 Contact us today to learn about luxury vinyl floor tile for your home. Ask us about our 12-18 month financing options. We proudly serve the communities of Santa Barbara, Isla Vista, Mission Canyon, Montecito, and Summerland, California, as well as the surrounding areas.